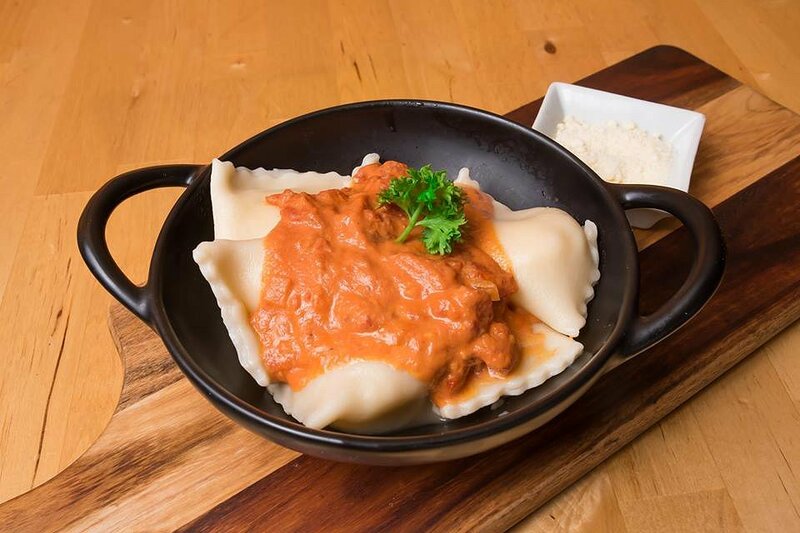 One of the first cafés to pop up in Lightsview back 2012, Urban Lights Woodoven Pizzeria has definitely made a name for itself among north-eastern locals. Co-owners, Jeremy Cristerella and Paulo da Silva, joined forces in 2014 to rebrand the then daytime-only café as a pizzeria. “Before they built the buildings here, you could actually see the city and the lights hence the name Urban Lights and now it’s Urban Lights Woodoven Pizzeria,” says Paulo. Urban Lights has now become a popular destination for locals with a huge range of options for breakfast, lunch or dinner. With a family background in pizza-making, Paulo was able to help implement the woodoven four years ago, attracting a whole new customer-base. “We have done hundreds of thousands of pizzas out of that oven and I think we’ve got a good rep for what we do,” says Paulo. 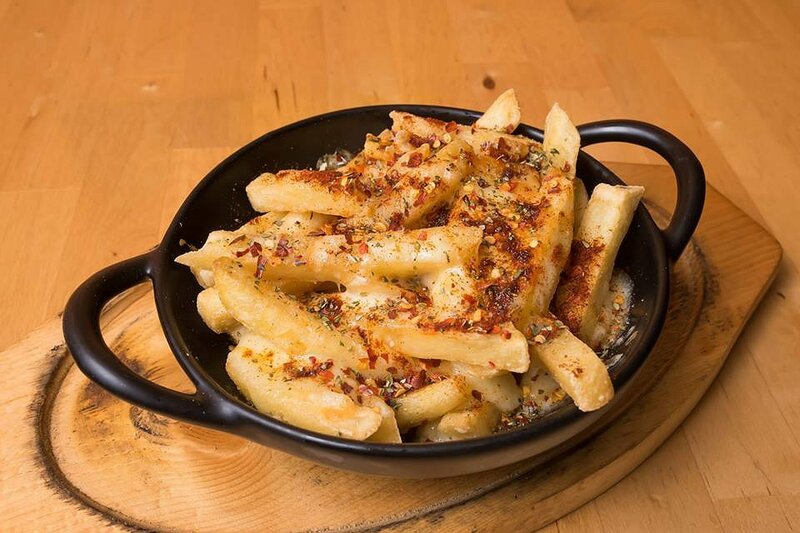 Delicious, thick cut and crunchy chips, topped with a generous layer of melted cheese and a sprinkle of chilli flakes, this dish was a perfect way to get us started (it wasn’t too spicy either!). 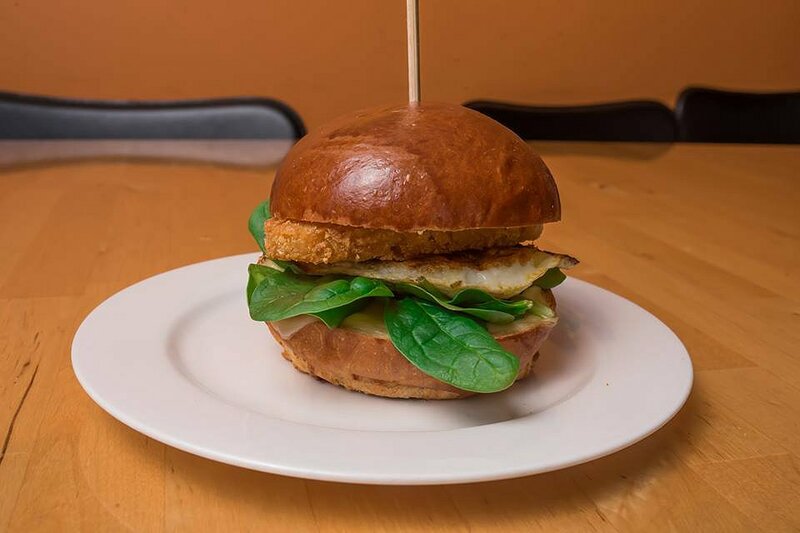 With egg, hashbrown, and baby spinach, this dish is your perfect breakfast but in a brioche bun! What really got us excited was the perfectly melted Swiss cheese on the bottom bun, with the rest of the toppings well-proportioned throughout and topped with a drizzle of hollandaise sauce. No one flavour was too strong here, making it a nice, simple dish to start off your morning. 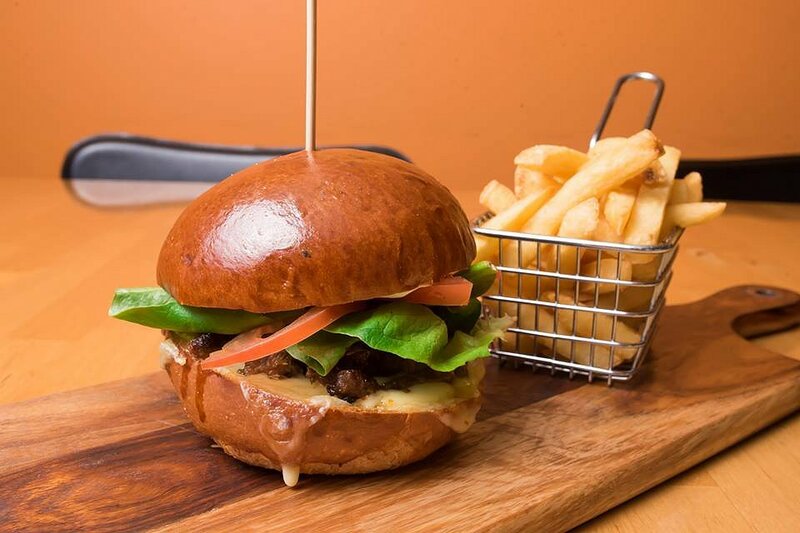 Served on a wooden board alongside some chips, this burger really had the lot – lamb, tomato, lettuce, roasted capsicum, and Swiss cheese (once again, perfectly melted). The lamb was crisp and well-marinated – almost like a yiros but in burger-form! To top it off, the tzatziki sauce added a cool, refreshing touch to the whole burger. 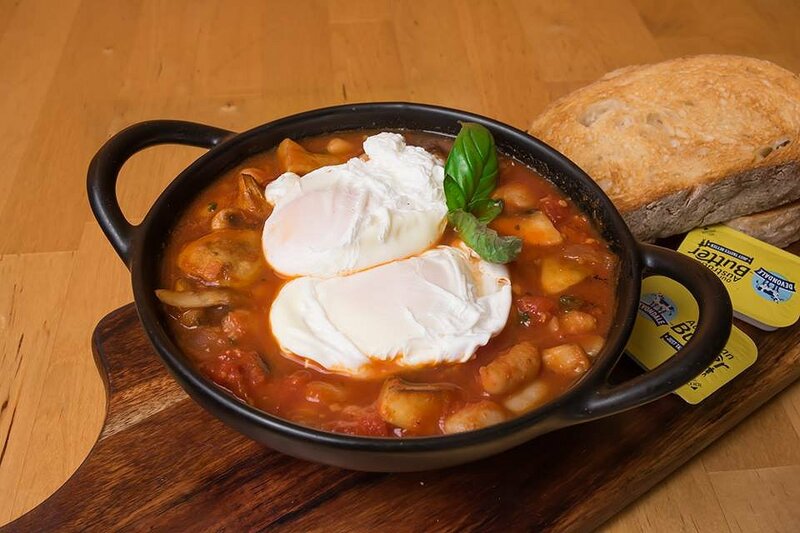 How could we go past the baked eggs option? With two soft poached eggs (which the chef won’t serve unless they’re absolute perfection!) and cannellini beans in a homemade Napolitana sauce, Urban Lights gives the option to replace the spicy cacciatore sausage with mushroom for the vegetarian or low-spice tolerance customers. Deliciously saucy, runny eggs, lots of beans and mushroom and well-seasoned, this dish definitely didn’t disappoint. The most surprising dish of the day, this dish caught us off-guard with the ravioli pieces being much bigger than expected. Filled with creamy ricotta, the pasta itself was also pillowy soft. Well-presented and delicious, the rich, homemade rosé sauce added a touch of acidity and even more flavour. We could definitely have gone for seconds of this one! 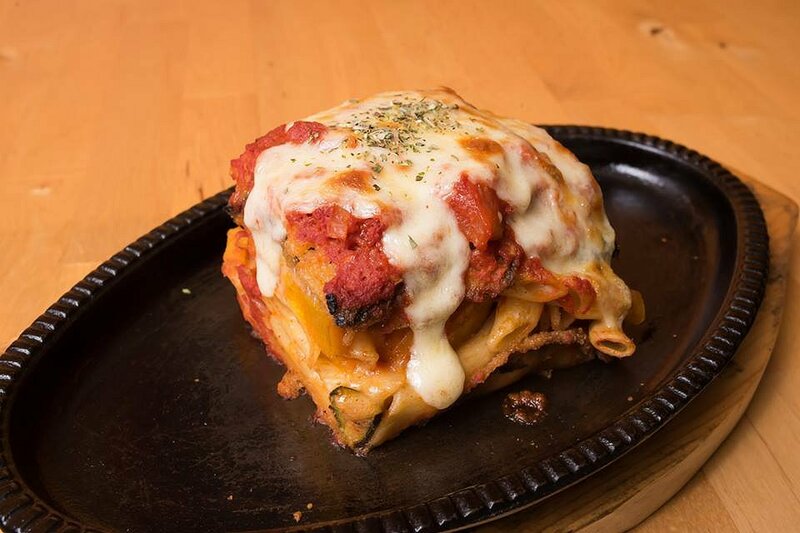 We don’t usually go for lasagne but this one caught our eye. Unique in the fact that its layers were made of not only lasagne sheets, but also penne pasta, this dish is a Urban Lights staff favourite! In saying that, the pasta to filling ratio was perfect, with seasonal vegetables like pumpkin, mushroom, capsicum, and zucchini. Topped with cheese baked in their namesake woodoven, the vegetarian lasagne was bursting with flavour. What’s a visit to a pizzeria without trying their pizzas?! 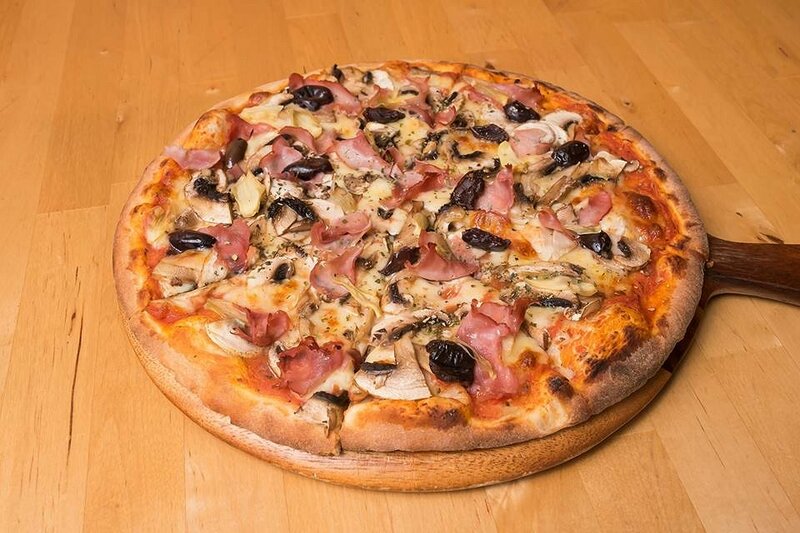 The Quattro Stagioni was apparently a customer favourite, being in between the simple and the gourmet with its cheese, mushroom, Kalamata olive, ham, and artichoke toppings. This pizza had a bit of everything and is for the indecisive! The personal favourite of owner, Paulo, this pizza is for those who like it hot! 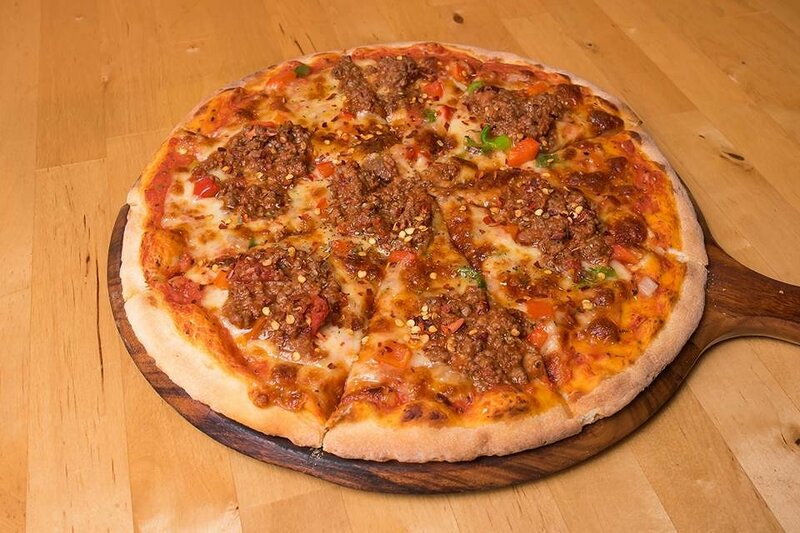 With cheese, onion, capsicum and minced beef cooked through chilli, the strong flavours of this pizza balance surprisingly well with each other. Although not extremely spicy, the heat can easily be revved up with a special request when ordering! A deceptively simple pizza, the Mr. 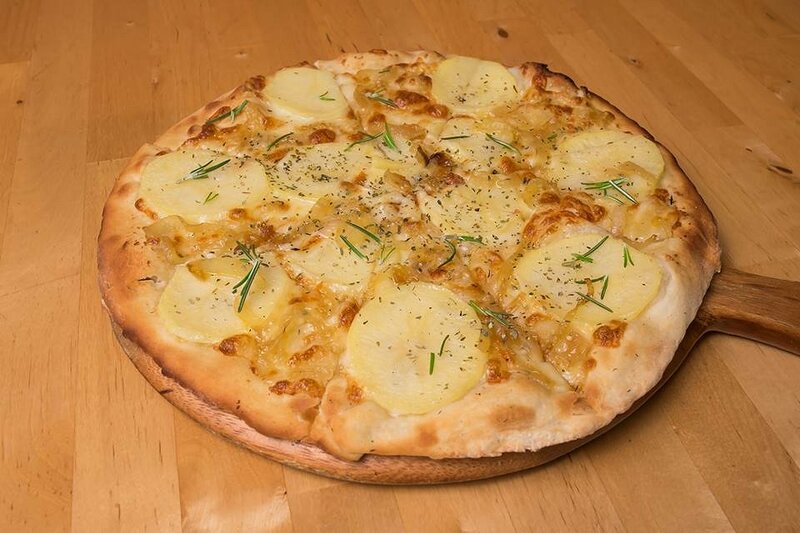 Potato Head had thin potato slices, cheese and caramelised onion, all on a garlic base. Topped with rosemary, this dish is the perfect alternative to garlic bread as a starter to any meal. 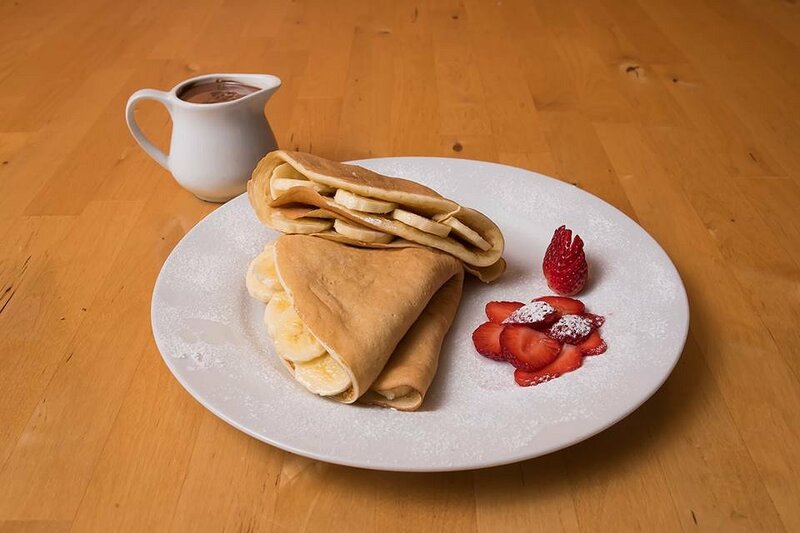 Two folded pancakes filled with banana, this dish is almost reminiscent of crepes! However, one bite of the airy, fluffy, pancakes will remind you of what you ordered again. Served with ice cream, and, of course, Nutella, a request can also be made to add strawberries to the order! 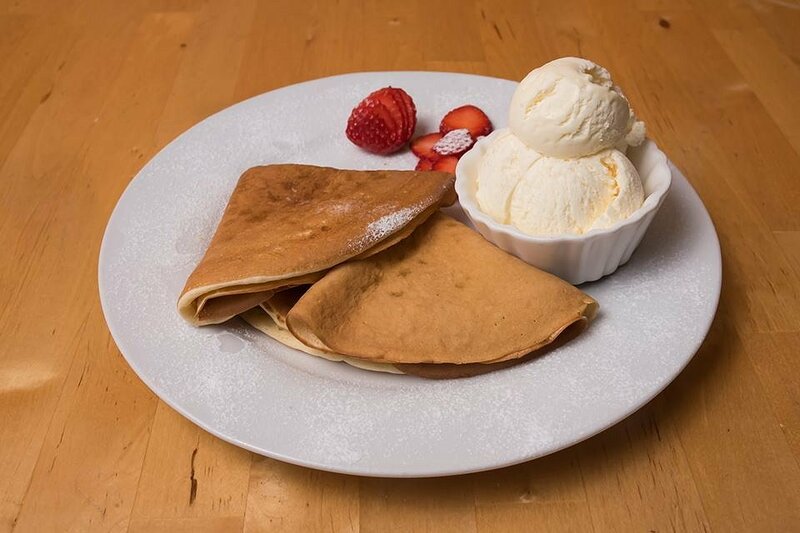 For those who want to stick to something a bit simpler, Urban Lights also offers plain pancakes that can be served with any combination of maple syrup, ice cream, homemade whipped cream, jam, lemon, or sugar (that includes if you want ALL the toppings!). With inspiration and help from both Paulo and Jeremy’s families, Urban Lights has branded itself as a family-friendly destination based on homegrown philosophies. “We love to be family-orientated. Obviously, we love to produce good food and good pizza and anything we do in the woodoven. We just want to be really customer-based and get to know our customers, interact with our customers, have a good, wholesome shop with a good vibe when you’re walking in,” says Paulo. Urban Lights Woodoven Pizzeria is located on Northgate’s City View Boulevard and is open Tuesdays and Wednesdays 7:30am til 5pm, Thursdays to Saturdays 7:30am til 10pm, and Sundays from 8am til 4pm.